So this is the procedure to replace the more often than not faulty fresh air intake temperature sensor. Common symptoms for a faulty unit would be as follows. 1. Air conditioning compressor shuts off randomly, blowing outside temperature at you. 2. The read out temperature on your lcd screen fluctuates and is often wrong by multiple degrees. When the A/C, Climate Control system is scanned for error codes it will throw up a code for the G89 fresh air intake temperature sensor. Make sure you clear this after replacing the unit. That way you will know in the future if it throws up an error code. 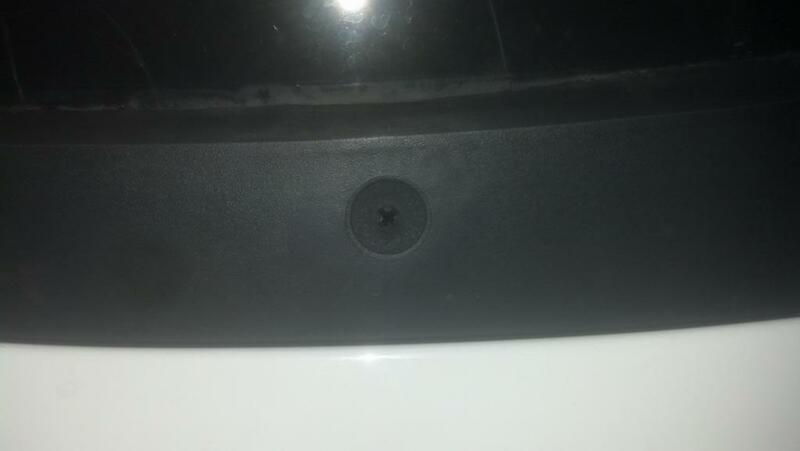 1. unscrew the three outside phillip head screws on the rain tray, with the hood still closed. 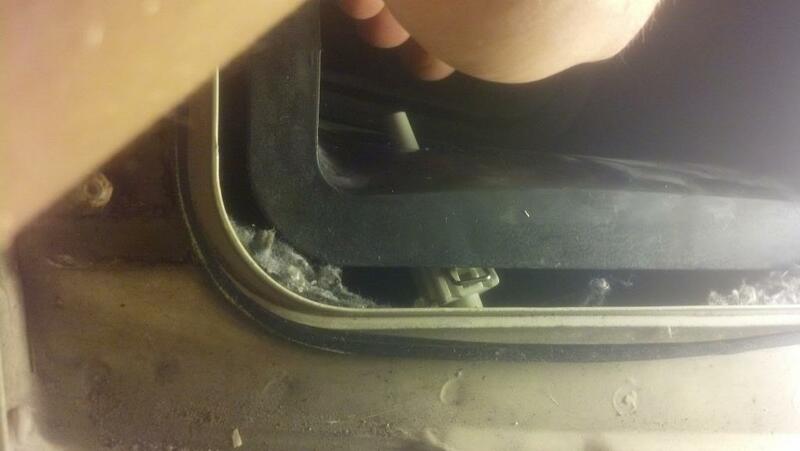 2. pop the hood and unscrew the 8mm bolt in the center of the rain tray cover on the passenger side under the hood. 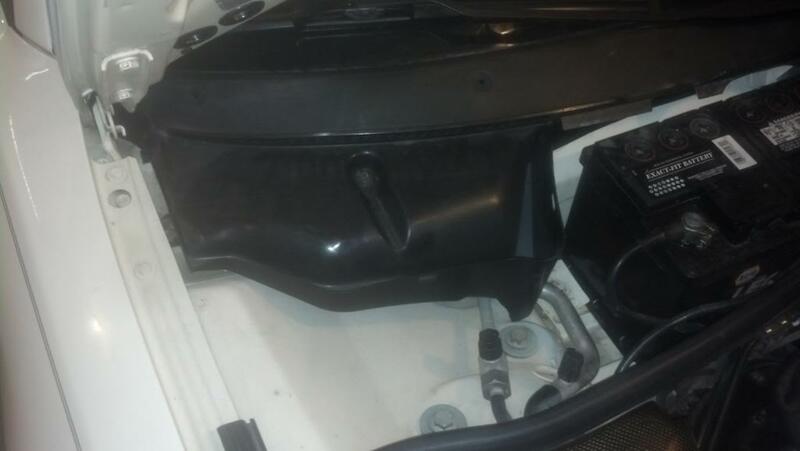 3. remove metal clip holding drivers side and passenger side rain tray assemblies together in middle of engine bay (right above the battery)(sometimes it is popped off and missing). 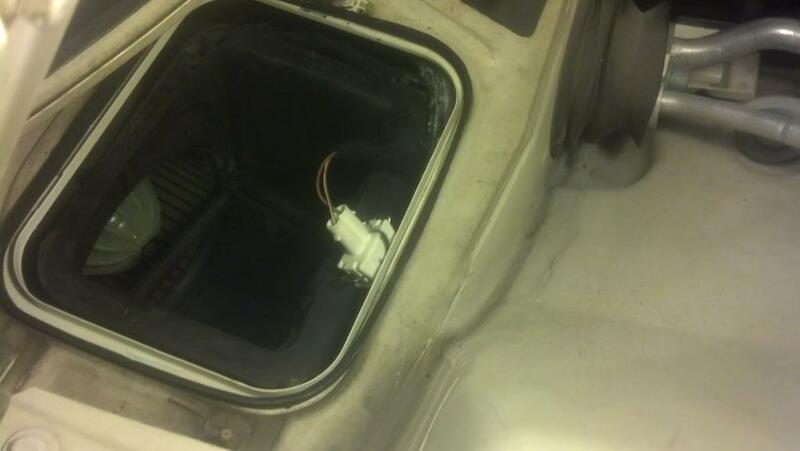 4. remove the rain tray top piece assembly, and the cabin air filter. Then remove the 3 10mm bolts from the bottom piece of the rain tray. Remove that piece. 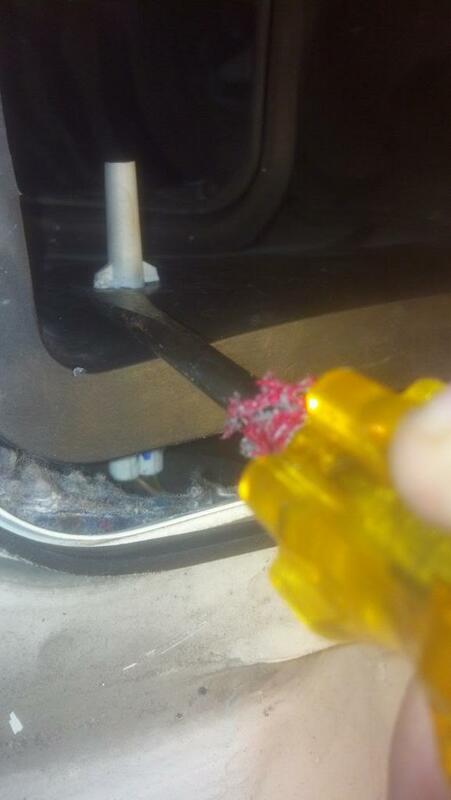 5. see that little plastic needle thing? You have to remove that. Don't worry about snapping the end of it. Since it is longer than the replacement, breaking it actually makes it easier to get out. It is very fragile, the replacement I got is shorter and more durable, not much though. All you have to do to remove it is turn the base 90 degrees. Once you have that free, take a long thin screwdriver and through the tiny crack where you can see connector stick it down there and fish out the connector. Try to get through the connector plug wire and pull up. 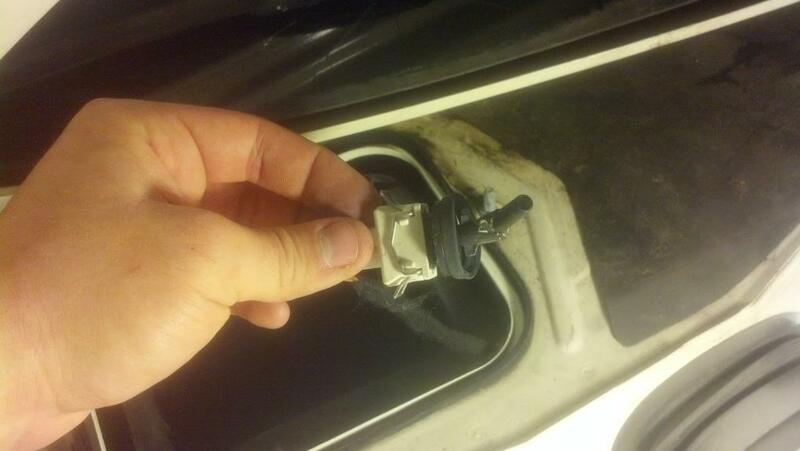 Push down on the plastic lip above the plug with your fingers to give just enough clearance to pull the plug through. 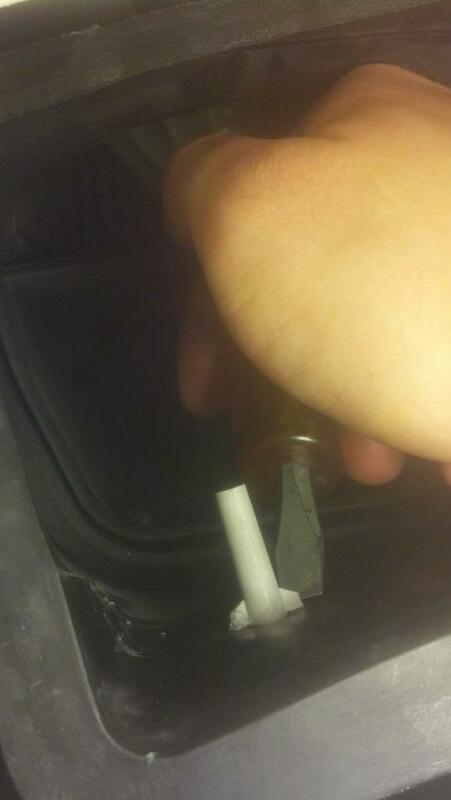 6. once it is pulled through connect new plug and push down between plastic and metal lip. Getting it to go through the hole again is quite the challenge and will require a bit of patience, and long screwdrivers or fingers. Once it is in the hole pull it through and twist 90 degrees by pushing up on one of the plastic bumps on the inside and down on one of the plastic bumps. I used a small flat head screwdriver to push up and a longer flat head screwdriver to push down. 7. reassemble in reverse order of disassembly. 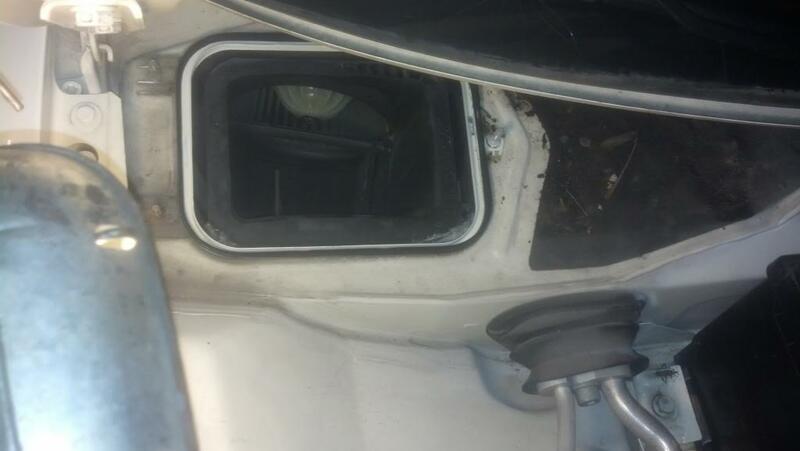 You can try and go through the glove box opening like some have recommended. I tried and it is not possible without taking a lot things apart. I purchased an aftermarket sensor. Brand was Uro. Your air conditioning should now be much more reliable.